He darted through the orange orchard searching for slugs for his breakfast, and between whiles he rocked on the branches and rang over his message of encouragement to men. 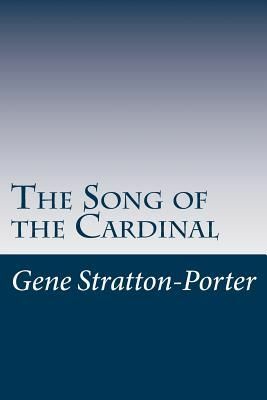 The song of the Cardinal was overflowing with joy, for this was his holiday, his playtime. The southern world was filled with brilliant sunshine, gaudy flowers, an abundance of fruit, myriads of insects, and never a thing to do except to bathe, feast, and be happy. No wonder his song was a prophecy of good cheer for the future, for happiness made up the whole of his past. The Cardinal was only a yearling, yet his crest flared high, his beard was crisp and black, and he was a very prodigy in size and colouring. Fathers of his family that had accomplished many migrations appeared small beside him, and coats that had been shed season after season seemed dull compared with his. It was as if a pulsing heart of flame passed by when he came winging through the orchard.